Fast-tracking your way to academic success: do you qualify for one of these eight types of scholarships in the US? 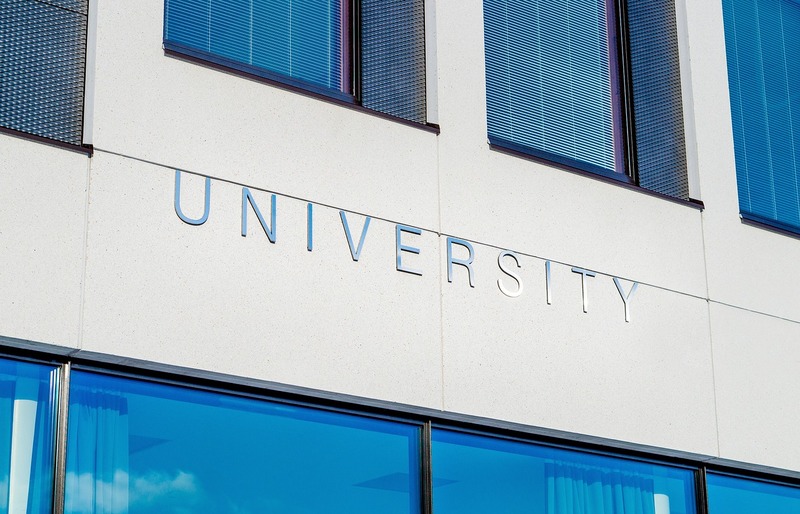 Most educational establishments offer some form of scholarship and if your circumstances are a match to the relevant criteria it could be an excellent way to get the educational qualifications you need to get on in life. If you are set on achieving academic success this helpful page offers some guidance on acing the interview process, but before you get to that point you will have to search out a suitable opportunity and see if you qualify for one of their scholarships. Are you suited to serving the community? A community service scholarship could be a good route to go down if you are committed to the idea of public service and giving something back to your community. You will need to have enrolled in a suitable community service program to achieve eligibility and your application for funding won’t be approved until this has been confirmed. Another part of the application process involves submitting a statement as to why the community service program is relevant to you and how it will help you to achieve your life goals. The criterion for selecting students for the scholarship is a mix of having a relevant profile and background combined with academic achievements to date. Are you destined to be a future leader? There are a number of different scholarships offered at universities around the country that are aimed at finding suitable students who will be given financial help in the form of a scholarship to set them on a path to potential future leadership status. The Future Leaders Foundation offers a future global leaders fellowship, for example, and the three-year program is aimed at priming students to be ready for induction into a private network of diverse leaders. A specific target group for this scholarship is freshmen students who will be the first in their family to attend a university. This is the description that the Obama Foundation Scholars Program uses about its scholarship opportunity and it tries to live up to that billing with access to some exceptional experiences away from the classroom for participating students. The aim of the foundation is to identify emerging leaders from around the globe who have already shown an aptitude for an entrepreneurial flair or have been working tirelessly for public causes. The scholarship covers tuition fees and expenses together with a monthly living allowance, funding for books together with travel costs for the unique experiences promised by the course. Some scholarship programs are much broader and provide the financial assistance you are looking for while giving you more options when it comes to where and what you study. The George and Mary Josephine Hamman Foundation is a prime example of that. It offers about 70 scholarships and successful students will receive an award of $20,000 which is disbursed over a four year period. The recipient is permitted to choose any major and any college or university based in the United States. If you are a student who is excited by the possibilities presented by stem cell research there is a scholarship that would be the perfect match for your scientific aspirations. The Biological Industries USA Stem Cell Research Awards are open to degree candidates and each winning applicant will receive an award of up to $25,000 and multiple awards are available across the United States. You will already be a researcher in qualifying sectors such as drug discovery and therapeutics and this scholarship could prove the stepping stone to the next phase in your career. The Rotary Foundation created the Rotary Graduate Scholarship program so that deserving students can be given the chance to attain their educational goals and get themselves ready for the next step in their career progression. This is an international scholarship where students from around the globe can apply and the scholarship can be taken in the United States. Fisher Investments is the organization behind the “Invest in your Future” college scholarship program and it is aimed at students who are studying for a degree in either business, finance, accounting, law, or economics. To be considered for the award available of $5,000 students need to be demonstrating literacy skills and the aptitude and desire to take that commitment to the next level. Fisher Investments is currently one of the biggest independent wealth management firms in the U.S and it has a vested interested in helping to create the next generation of financially astute students who go on to achieve a career in the world of finance and economics. There are a number of scholarships that serve a purpose by providing the financial support that allows a student to become the first in their family to achieve a degree. The First Generation Matching Grant Program (FGMG) is a case in point. FGMG is a need-based grant program available to students who are able to demonstrate that they have a suitable financial need to enable them to gain access to a degree course. One of the main eligibility criteria is that you have parents who do not have a baccalaureate or higher degree themselves and you will also need to already be enrolled with a qualifying participating postsecondary institution when you come to make the application for financial help. Academic success creates a pathway to a potentially glittering, rewarding, and even lucrative career and it is right at the beginning of this journey when you often need some financial help to get you started. If you can find a suitable scholarship program to give you that financial shot in the arm you need it could be the catalyst that launches you on an upward trajectory to greater things. Find out whether you can get a scholarship and make sure you do your research about how to apply before you submit your application for a scholarship. Have you applied for a scholarship and been successful? Let us know what happened.